Another book recommendation, this time from my old personal tutor at Leeds University, Dr Timothy Heppell. Tim is one of the leading scholars working on British party politics at the moment, and a real expert on the politics and history of the Conservative Party. He was also extremely helpful and friendly to me when I was working on my application for the Hugh Berrington Scholarship. In fact it was he who recommended Newcastle University to me in the first place, as he also completed his PhD here . A top tip for anyone considering applying for research funding for a MA or PhD: go and speak to your personal tutor! It seems so obvious, but I’m constantly amazed by people who don’t see it as the first step. These are the people that know what it takes to be successful in the application process. They are also some of the best people to talk to about what subject really interests you, one enough to dedicate 4 to 3 years researching on. 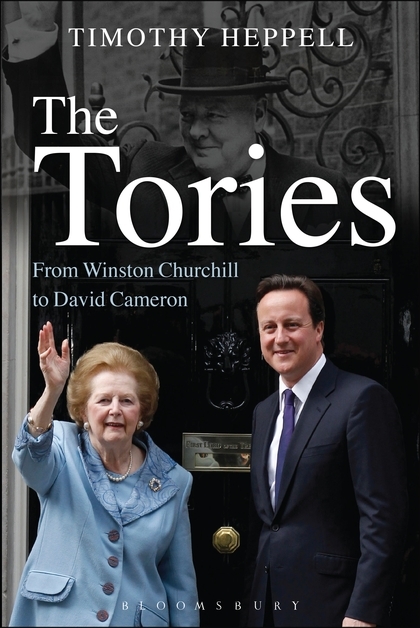 ‘This book offers a comprehensive and accessible study of the electoral strategies, governing approaches and ideological thought of the British Conservative Party from Winston Churchill to David Cameron. Timothy Heppell integrates a chronological narrative with theoretical evaluation, examining the interplay between the ideology of Conservatism and the political practice of the Conservative Party both in government and in opposition. He considers the ethos of the Party within the context of statecraft theory, looking at the art of winning elections and of governing competently. It’s a very enjoyable read and a well written book, so I would recommend it to anyone interested in the history and politics of the Conservative Party, or British politics in general. It’s also quite short and to the point (hooray! ).